The most comprehensive analysis of diet and cancer ever performed was published by the American Institute for Cancer Research. Sifting through some half a million studies, nine independent research teams from around the globe created a landmark scientific consensus report reviewed by 21 of the top cancer researchers in the world. One of their summary cancer-prevention recommendations is to eat whole grains and/or legumes (beans, split peas, chickpeas, or lentils) with every meal. Not every week or every day. Every meal. The federal government’s MyPlate campaign was developed to prompt Americans to think about building healthy meals. Most of your plate should be covered with vegetables and grains, preferably whole grains, with the rest of the plate split between fruits and the protein group. Legumes were given special treatment, straddling both the protein and the vegetable groups. 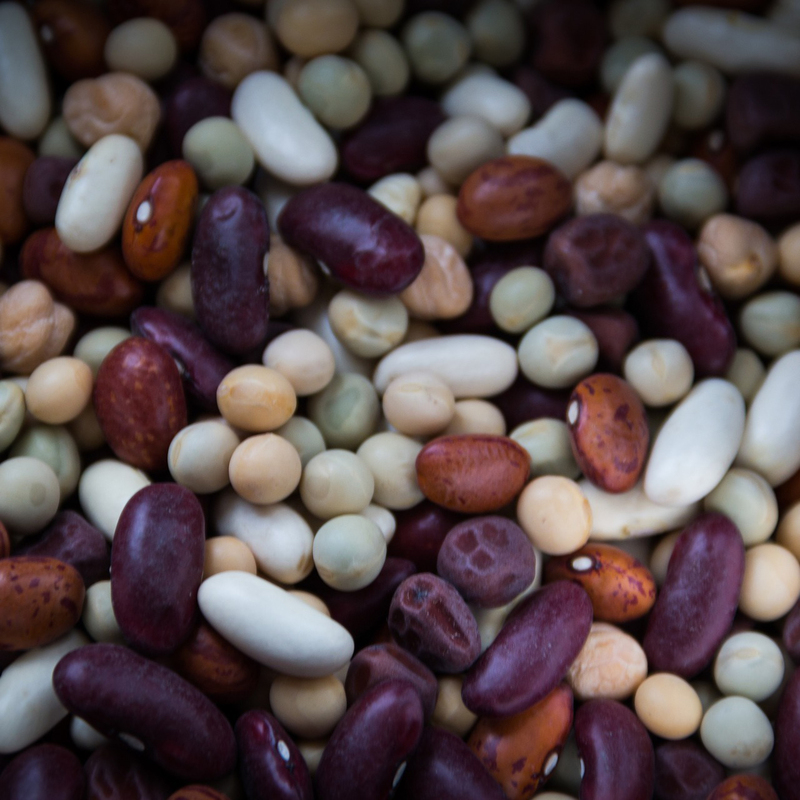 They’re loaded with protein, iron, and zinc, as you might expect from other protein sources like meat, but legumes also contain nutrients that are concentrated in the vegetable kingdom, including fiber, folate, and potassium. You get the best of both worlds with beans, all the while enjoying foods that are naturally low in saturated fat and sodium and free of cholesterol. Legumes comprise all the different kinds of beans, including soybeans, split peas, chickpeas, and lentils. While eating a bowl of pea soup or dipping carrots into hummus may not seem like eating beans, it is. We should all try to get three servings a day. A serving is defined as a quarter cup of hummus or bean dip; a half cup of cooked beans, split peas, lentils, tofu, or tempeh; or a full cup of fresh peas or sprouted lentils. Legume consumption is associated with a slimmer waist and lower blood pressure, and randomized trials have shown it may match or beat out calorie cutting for slimming tummy fat as well as improving the regulation of blood sugar, insulin levels, and cholesterol. Beans are packed with fiber, folate, and phytates, which may help reduce the risk of stroke, depression, and colon cancer. The phytoestrogens in soy in particular appear to both help prevent breast cancer and improve breast cancer survival. No wonder the cancer guidelines suggest you should try to fit beans into your meals—and it’s so easy! They can be added to nearly any meal, easily incorporated into snack times, or served as the star attraction. The possibilities are endless. Image Credit: Niek Verlaan / Pixabay. This image has been modified. I team up with chef Rich Landau and public health nutritionist Tracye McQuirter to discuss the health benefits and preparation of beans.